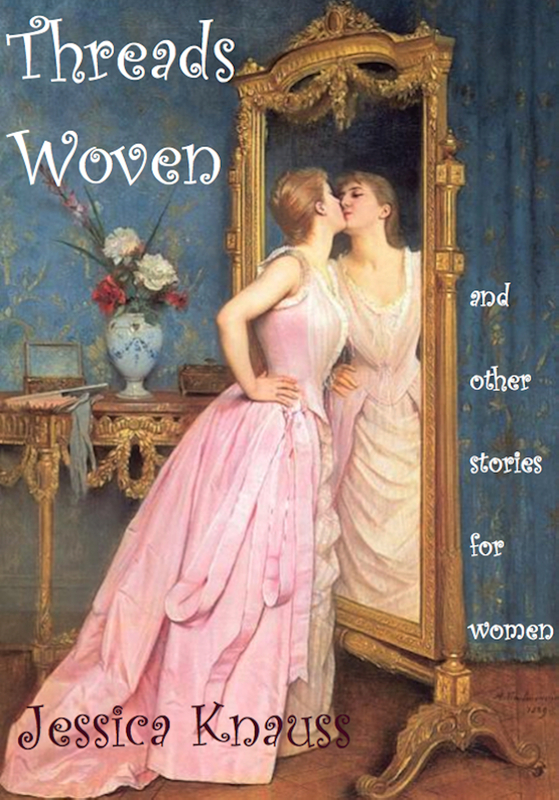 Available to the reading public for the first time in this collection, the long story “Threads Woven” is a masterpiece of dialogue, artistic inspiration, and self confidence: Miriam seeks artistic inspiration in a writing class. Feeling ever more alone, with her husband busy in a career and with a beautiful new running partner, her daughter unavailable and her classmates thirty years younger than she is, Miriam finds communion and inspiration in another drifting soul, in Chinese food, and in an old quilt. Fulfilling your greatest fantasies of having and holding some of Jessica Knauss’s famous short stories for your very own, this collection also includes the previously published favorites “Justine,” “Job Fair,” “Calcium-Rich,” and “Slippers.” They all explore some aspect of women’s lives in a unique or even weird way, whether it’s jealousy, career frustration, chemical balance, or unique flexibilities. The never-before-seen romantic comedy/revenge fantasy “Club Love” and frustration/envy allegory “Green Hot” round out the collection on a note of righteous rage. Note: it’s important that your sense of humor veer toward male-bashing in order to appreciate the last two stories and “Justine.” The author does not condone hatred of the male gender as a group, but has set this collection apart as a celebration of women’s creativity, beauty, and power. Click here for more information and links to the full published stories! This entry was posted in Feminism, New Release. Bookmark the permalink.